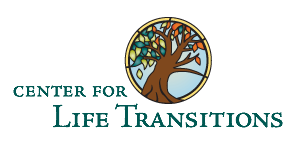 TranSpirations - The Center for Life Transitions, Inc. The Center has committed to presenting weekly ideas and information for you on our blog, TranSpirations. TranSpiration combines “Transition”, “Inspiration” and “Spirituality” and by definition, means water or vapor flowing through a living organism. Each month, through weekly posts, a new theme will hopefully educate and inspire you on useful transition topics. We hope you find it helpful. Please tell a friend. Job Search Courage: Courage is a process. Job Search Courage: Job hunting is HARD!